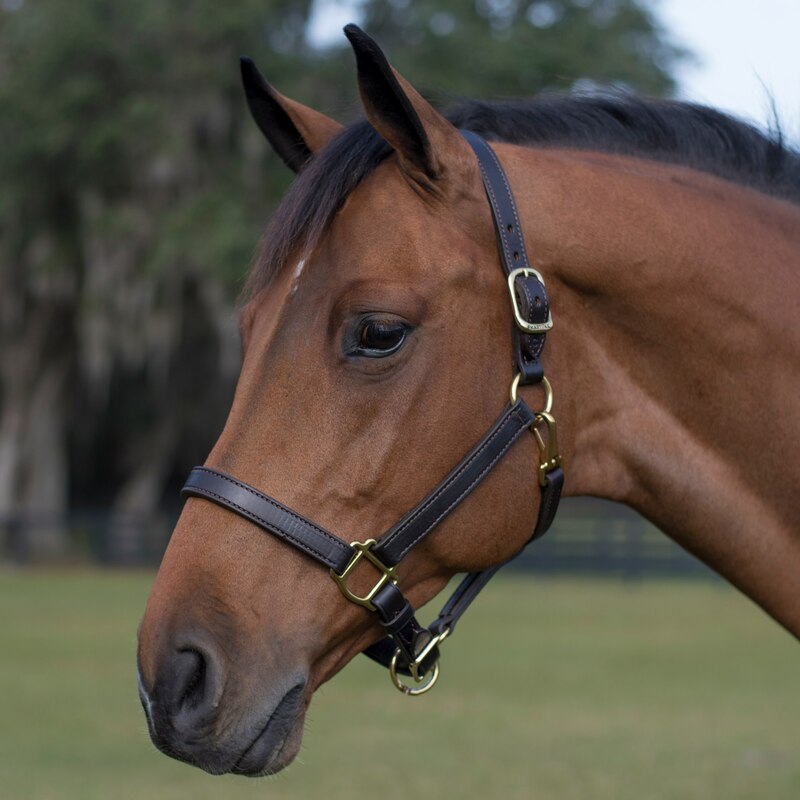 The SmartPak Double Stitch Halter is smart enough looking for the show ring but affordable enough for everyday use. Handmade from in Amish country from high quality leather, this halter is soft and supple and features quality double stitching for added durability. Plus, brass plated hardware is sure to look sharp on any horse. Finally, the single buckle crown and adjustable chin strap give you the perfect fit while the snap on the throat latch makes it easy to take on and off. Don’t forget to add customization for a personal touch! The elegant "Ivy" leather halter by Kavalkade will inspire you! Anatomically cut with a wide and softly padded headpiece. 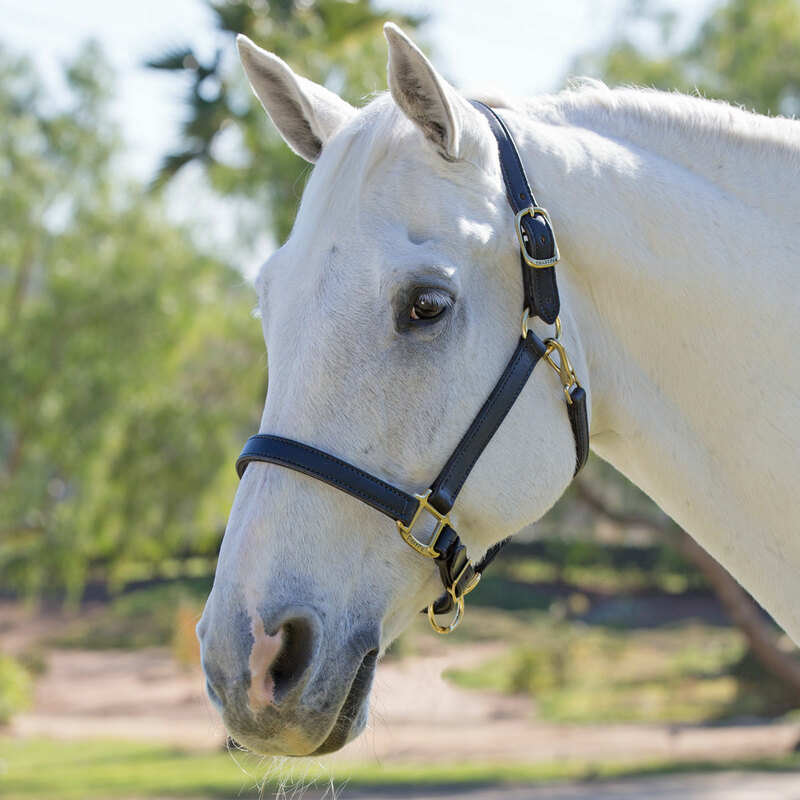 Fashionable noseband with decorative white stitching and soft padding and silver hardware. 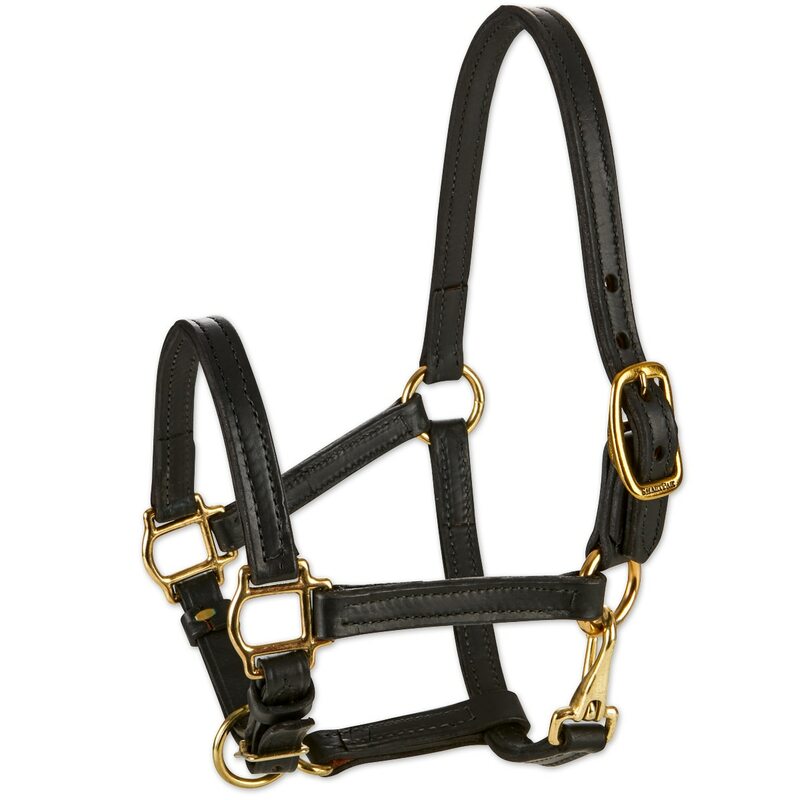 SmartPak Double Stitch Halter is rated 4.6 out of 5 by 547. Rated 4 out of 5 by tyler from The brown halter came quite a bit darker than I was expecting, still looks nice though. Out of the package it seemed a bit stiff, I’m sure it will soften with use and some conditioner. It also smelled like dye, hope that goes away soon. Overall appears to be well made and I can’t wait to use it on my horse. Rated 5 out of 5 by covertocover18 from Double Stitch Halter I wanted a reasonably priced every day barn halter and was not disappointed with this selection! The leather is soft and the halter is well made, especially for the price! I definitely recommend. Rated 5 out of 5 by Kara12 from Beautiful Halter We ordered this halter to for our little one to open as a surprise to tell her she got her very own horse. The halter is absolutely beautiful! It was a little saturated with dye, but after a good scrub it wasn’t seeping anymore. I would definitely recommend this halter. Good quality, beautiful, and good price. Rated 4 out of 5 by Judy from I bought 2 of these halters. They are a very nice everyday halter. They fit both horses well. I recommend this. Rated 5 out of 5 by Erin from Beautiful Halter! I have to say, I've always had excellent experiences with SmartPak and this is just another example of one. I purchased this halter with the intent of using it only for horse shows and shipping. After 10 years, it was time for a new leather halter. I have to say, I am very impressed with the quality and how the engraving came out. The Havana color looks beautiful on my mare. The halter seems very durable and like it will last us for years to come. I can't wait to use this! Rated 5 out of 5 by TBlue from Exceptionally Nice Purchased the Cob size for my hard to fit Mammoth Donkey. Wasn't really expecting much but was pleasantly surprised when it arrived. Since it is adjustable it fits him perfectly. It is very high quality and the leather is extremely nice and the hardware is heavy duty. Will buy another when they go on sale. Rated 5 out of 5 by Dee R from Great product for the price. Perfect leather halter for my horse. Made very well. Rated 5 out of 5 by rjrob from Great quality for the price! Bought this halter about a month ago. Someone else in the barn owns one and I liked the quality of the leather and how well it had held up for her. Best leather halter for the price. Mine has gotten wet, been outside all day, and it still looks and feels great! Rated 1 out of 5 by laurie from Terrible When I received this halter my first impression was how unattractive it is, 2nd impression was how the white stitching was red. Obviously the dye leaked, so I decided to clen it before putting on my chestnut with white stripe. I now have a halter that ranges from light tan to dark brown depending where most of the dye came off. This is a horrible halter, don't buy it.